A Manuka Honey Treat For Man’s Best Friend! 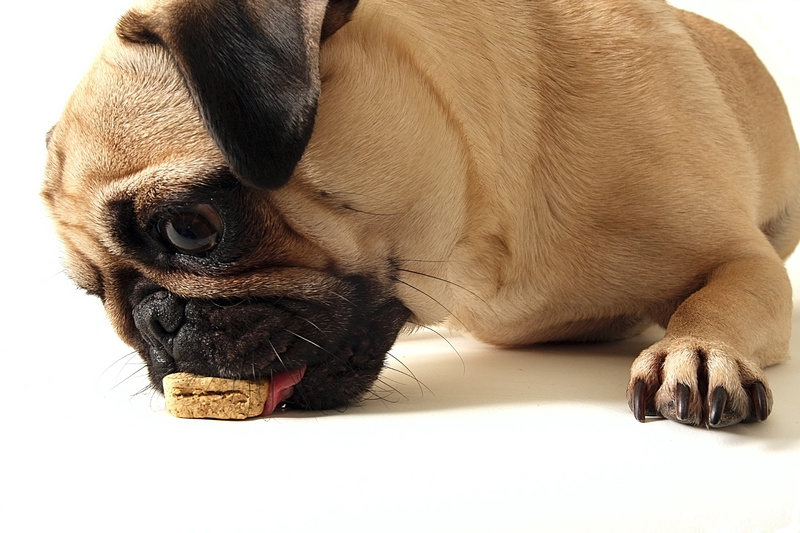 Most dog owners enjoy rewarding their family pets during training sessions or just when they feel their dogs deserve something sweet for themselves. While it is always fine to buy a box of treats at the store, if you’re looking to feed your dog something healthier or more personal and inexpensive, try making these Manuka Honey Banana Dog Treats right in your own kitchen! It’s true that dogs are carnivores and will, nine times out of ten, turn their noses up at a piece of fruit, but the undeniable taste of Manuka honey tends to put a spell on our dogs the way it does on us. They’ll likely not turn their noses up at this homemade recipe that you’ll likely want to try yourself! Luckily, this recipe requires little time and little effort, so the veteran and amateur bakers have no disadvantage over the other. Well, clear some space on your counter, and let’s get to baking these dog treats. Prep: 15 minutes Cook: 50 minutes. Lightly grease 2 large baking sheets. Combine the water, mashed bananas, Manuka honey, vanilla, and egg in a large bowl. Stir in the whole wheat flour and baking powder. Beat dough with an electric mixer on medium speed until the ingredients are thoroughly combined, which takes between 1 and 2 minutes. Turn dough onto a floured surface and knead until it is no longer sticky, which takes about 5 to 8 minutes. Roll out dough to 1/4-inch thickness and cut into mini shapes with your favorite cookie cutter. Place dough shapes on prepared baking sheets. Bake in preheated oven until the cookie treats are lightly browned, which takes about 20 minutes depending on the strength of your oven. Turn off the oven and leave cookies until thoroughly dry and crisp, which takes about 30 to 40 more minutes. Remove baking sheets from the oven and allow the dog treats to cool on the pans for about 10 minutes. Transfer cookies to wire rack to fully cool. Store in a sealable container and serve at your discretion—or your dog’s, since he or she will likely love these treats!